If you’re wondering what CrossFit is all about, you’ve come to the right place. CrossFit covers all aspects of fitness and is infinitely scalable so anyone can do it! CrossFit is described as constantly varied, functional fitness, performed at a high intensity. That probably sounds like a bunch of mumbo jumbo though, so let’s look at that in simpler terms. 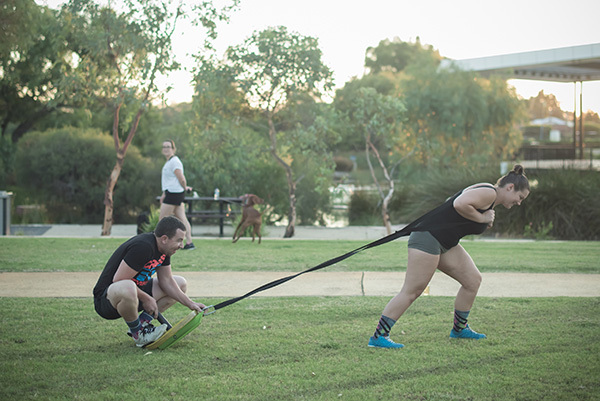 At CrossFit Long Haul in Maddington, no class or PT session is ever the same. Our coaches program fun, new workouts for every single day. Our workouts are not random, but they are carefully designed to ensure progress, while still being varied. We use a huge range of movements to ensure we move our bodies in every different way they need to, with a variety of different tools (equipment). This means we can keep working on our strength, skills and fitness without having to do the same boring stuff all the time. The MOST important thing for progress in training is variance – if you do the same stuff all the time, your body won’t feel a need to change! If you change up your workouts, your body will have to change to keep up. That means weight loss, strength gains and improved fitness. The dream! Functional fitness is becoming more and more popular as people turn away from traditional gyms and their classic body building or boring cardio routines. More people are realising they just want to be fit and healthy and to do that they need to ENJOY their exercise. Walking on a treadmill alone for hours is boring and doesn’t bring us a lot of fitness. Functional fitness is all about training for life. Being strong so you can carry furniture next time you move house. Being able to run around after your kids. Being able to go on holidays and climb mountains and ride bikes or whatever it is that you want to do. Functional fitness aims to work WITH your body with safe and effective programs that help you live a long and healthy life. This is often the part about CrossFit that scares people! 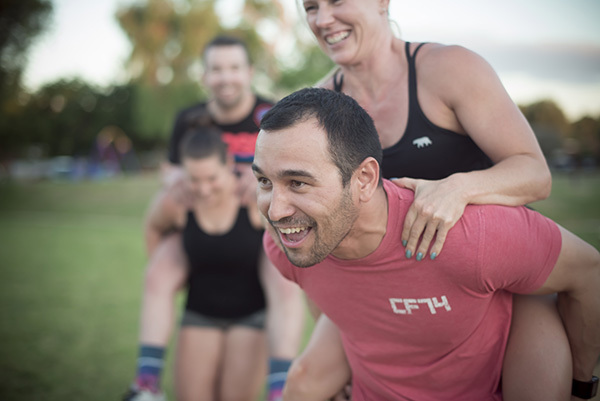 But there is no need to be, we promise that CrossFit is for everyone and anyone can do it. High intensity is all about YOU. What your 100% effort looks like is totally different to the next persons and that is just fine 🙂 High intensity is where all the action happens, lifting weights to a heavy level for YOU, pushing as fast as YOU can in a workout, doing as many reps as YOU can before you need to rest. When we work at a high intensity, our body is in a constant state of adaptation, we are always asking it for more, always pushing it outside of comfortable so that it needs to change (get fitter, faster, leaner) to keep up. In our gym, this looks like a 66 year old going as fast as she can lifting her 5kg weight, while another member who has been CrossFitting for years goes as fast as he can lifting his 60kg weight. They are both working at a high intensity, relevant to their experience, skills and fitness level. All of our members work at their own pace, their own fitness level. At CrossFit Long Haul we prioritise technique over intensity. We spend time in every class, every PT session drilling the basics of our movements and perfecting them. Once we have learnt them to a safe level, we apply intensity. When you are learning, it doesn’t take much to get your heart rate up! We start slow with our beginners and let them learn at their own pace, that is safe and effective for their goals. 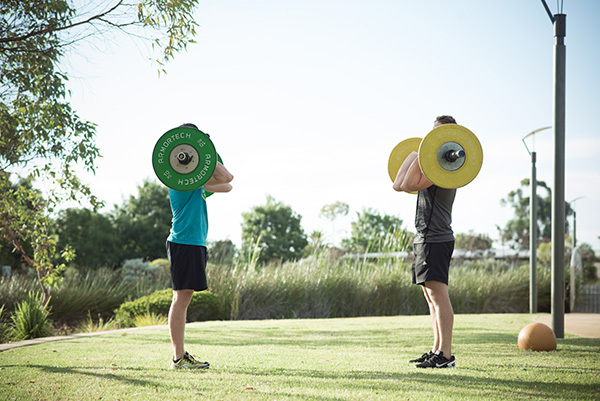 If you would like to find out more about CrossFit at our gym in Maddington, please book in for a free, no obligations Intro session and we will help you understand how CrossFit can work for your goals.